Always wanted to go to college but thought you didn’t have the qualifications? The Access Course (Diploma in Foundation Studies) is a free 26 week course in St. Angela’s College open to mature students and school leavers, who for various reasons didn’t apply to third level. The course offers an alternative route to higher education, targeting students who are under-represented at third level, such as lone parents, long-term unemployed, people with little or no family tradition of going to college, people dealing with family-related stresses, particularly financial. It is also suitable for school leavers who didn’t achieve their desired Leaving Cert results, are missing core-subjects for further studies or are not yet ready to attend college. 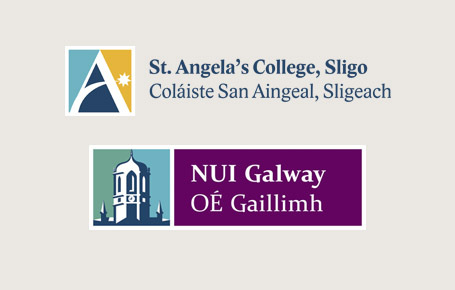 This pre-university course prepares students for entry into a wide range of Undergraduate Degree Programmes in St. Angela’s College, Sligo and NUI Galway (subject to certain criteria). It aims to enable students to acquire knowledge, skills and confidence in preparation for their degree programme offering core subjects such as academic writing, IT and study skills. Students also choose taster modules from the following subjects: Sociology, Politics, Economics, Maths, Philosophy, Home Economics, Education, Biology, Chemistry, Physics and Nursing. A Public Information Session will be held in The Glasshouse Hotel, Sligo on Tuesday 17th April from 2-4pm. Email access@stangelas.nuigalway.ie, telephone 071 9195575 or call to hotel reception on arrival.